Why Did She Ever Think Otherwise? We have just had the final judgement from the Supreme Court regarding who is allowed to trigger Article 50 which will start the process of our leaving the European Union. This was a legally binding decision. The whole reason for the Court case in the first, second and third place was down to the arrogance of Theresa May. Early on she told Parliament that the Government and the Government only had the right to trigger Article 50. This was an attempt by her and her fellow Brexiteers to bulldoze us all into a hurried and self(her)determined decision as to exactly what Brexit would mean. Now, although I regret the decision of the British Public to leave the EU, I do accept that any Government has little option but to put into motion the negotiations to exit the EU. But…what did the public actually tell us on 23rd June? Very little, because they were simply given the option of yes or no. We do not know the reasons, any individual or even a majority of voters, which persuaded them to vote NO. For many it may have been the fictitious promise of £350 million a week for the NHS, for many it may have been an intrinsic dislike of immigrants, for others it was the Sovereignty of Parliament, which last seems strange, in light of the attempt to side-step Parliament before discussions even begin. At first Mrs. May insisted that Brexit simply means Brexit, but we slowly learnt that controlling immigration was her priority (even though we have singularly failed to control non-EU immigration for years). 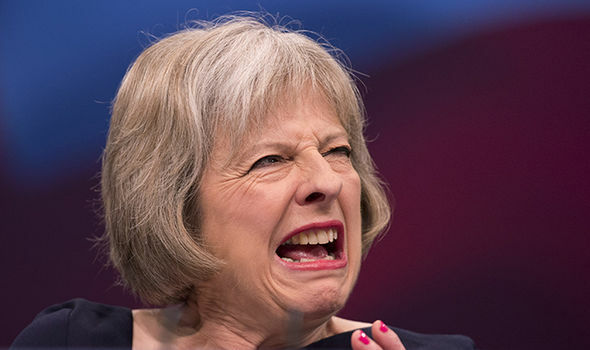 She has now decided that she cannot control EU immigration without us leaving the Single Market; her logic then goes on that if we leave the Single Market but remain in the Customs Union we won’t be able to negotiate our own trade deals (to replace the lost advantages of the Single Market), so that must go as well. She also wants (strangely) to negotiate a new trade arrangement with Europe which is tariff-free and as simple as possible. I say strangely because we already have that, but she wants to ditch it. As far as I can see her whole strategy is to give the country the illusion that everything is fine, our markets are secure but we can now stop all these wretched Poles and Rumanians from coming here. But now she will have to be questioned by Parliament; there will be many amendments which may or not succeed, but she will have to go into far more detail about her negotiating strategy, and may be tied down to certain red lines. Previous PostSome Inconvenient FactsNext PostS – is for Bruce Springsteen – the Boss?